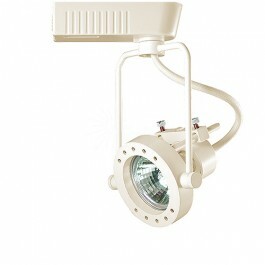 Track Light in White for your home, gallery, residential, commercial or office track lighting installation. Chose from White or Black. Fixture works in our single and double circuit power track. Please read before dimming Soraa LED with our low voltage track fixtures. Low voltage (LV) fixture with our heavy duty transformer. Rated at 50watts you can utilize any of the vast array of MR-16 bulbs from 20watt to 50watt. Low voltage offers great energy efficiency as well as a very bright , directed, and full color rending beam of light.